What nuts can parrots eat? It has to be one of the most common questions parrot people have. We know that parrots love nuts, so it’s tempting to reward them with an abundance of them. But like most good things in life, there’s a downside and if we want our parrots to maintain good health then a big dose of moderation and caution is required when it comes to delicious nuts. Not surprisingly, and like most other things regarding birds, there’s so much conflicting information out there regarding particular nuts and nuts on the whole. It can make it difficult for a caring parrot guardian to have confidence that we’re doing the right thing for our beloved birds. Got a specific technical question about feeding any type of nuts to your parrots? Ask your avian veterinarian. The best vets are at the forefront of the ever growing and expanding knowledge and research out there about parrot health. They can also advise on the specific dietary requirements of your parrot species, taking into consideration their activity level and overall health status. This article is not a replacement for professional vet advice. In general: for the majority of parrot species, nuts are considered a treat or very small part of the diet. Most nuts that are parrot-safe are also high in fat and the recommendation is that they are fed sparingly. In addition to obesity, a diet high in nuts can lead to severe nutritional deficiencies that a parrot should be acquiring from other healthy food sources like vegetables. Excess weight in a parrot is dangerous. As it is, most captive parrots burn nowhere near the calories that their wild counterparts do each day, and as a result, they do not need to consume as much food. But it’s not just the quantity of food – quality is just as important. When it comes to nuts, their high fat content is something we really need to be aware of when considering these tasty treats as part of any parrot’s diet. Over half of the calories in nuts is made up of various fats, and different types of nuts obviously contain different fat levels. The table below shows the total fat in grams per one ounce of each of the most common nuts that we consider feeding to birds. Note these are raw, not roasted, not blanched, unsalted nuts only – the only type that should ever be given to parrots. This includes all types of fats: saturated, mono-unsaturated and poly-unsaturated. As you can see, the nut with the highest proportion of fats is the Macadamia, and the lowest fat nuts being the cashews and pistachio. Fat is of course just one part of the equation when it comes to nutrients. But it’s one that parrot owners do need to pay a lot of attention due to the risk of obesity and associated serious health problems that come with having a bird that is overweight. Other nutritional aspects to consider with nuts include the protein content, carbohydrates and the various vitamins and minerals like potassium, magnesium and calcium. Out of the nuts listed in the table above, the one with the highest magneium content is the Brazil nut. 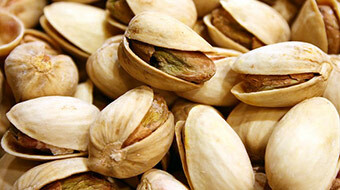 The Pistachio has the highest level of potassium, while almonds are the richest in calcium and dietary fiber. Almonds are also the most protein rich nut, just slightly ahead of pistachio. Macadamia (the highest fat nut) has the lowest protein content of all the listed nuts. Trace minerals zinc and copper are found in tiny amounts in all the nuts, with cashews having the highest levels. Hazelnuts come from hazel trees in the genus Corylus, and are simply the kernel of the seed of these trees. Corylus avellana is the common hazel tree that is cultivated specifically for these nuts. But are they good for parrots and what nutritional benefits do they have? Hazelnuts are rich in protein, while also being high in unsaturated fats, like many nuts. This is why nuts are recommended as only a small part of a healthy diet for captive parrots. There are important nutrients found in hazelnuts, such as manganese, magnesium copper, vitamin E and thiamine. 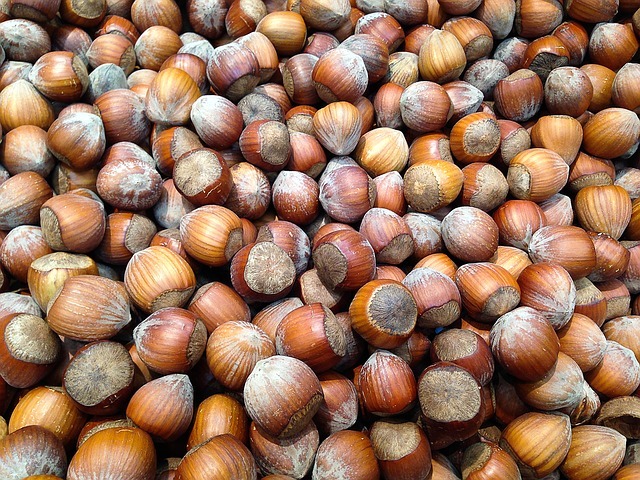 Hazelnuts are sold as either raw or roasted, and many are salted, while others are completely natural (raw and unsalted). Parrots should never be given salted nuts. Raw, unsalted, unroasted hazelnuts are safe for parrots. Organic is best. However considering their high fat content, like many nuts, most species of parrots can be fed hazelnuts as a treat food or small part of the diet. Unsalted, raw, human grade pistachio nuts are safe for parrots to eat. Organic shelled pistachios (raw and unsalted) such as those from Braga Organic Farms give bigger beaks a chance to crack open the nut, but because the best pistachios will ripen and start to split open on the tree, when you buy quality shelled pistachio nuts they’ll usually be in a partially opened state. Salted pistachios, like all salted nuts and food, are absolutely unsafe and unhealthy for parrots. All salted foods should be out of reach of parrots. 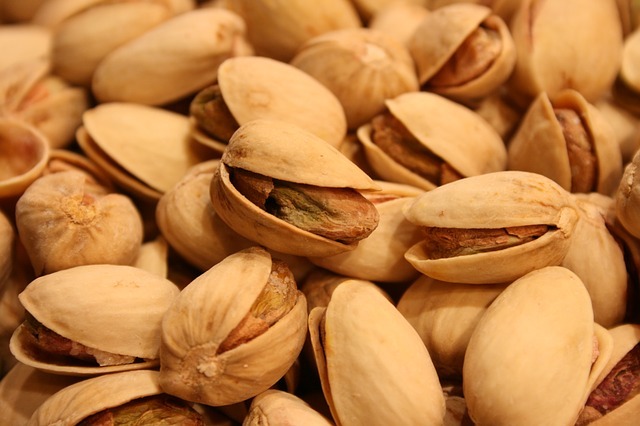 Like all oily nuts, pistachios will go rancid if stored in hot, humid conditions. Refrigeration or a cool dry cabinet are ideal for nut storage. In the US, pistachios are grown in locations such as California and Utah. 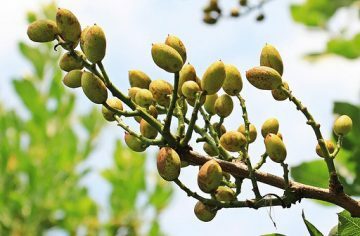 In Australia, most pistachio farms are located in the drier and hotter parts of the states of Victoria and South Australia. By knowing where pistachios grow well and where most farms are located in your country, you can gain some idea of whether you might be able to provide these trees with similar conditions yourself at home. I bought raw peanuts and mixed hard shell ones human grade,and he loves a coup.e aday,is that okay for my cockatoo, ringneck? Karen, we should all only be feeding human grade nuts to our birds. But even human grade with the shell on can have a risk of aflatoxins in the shell, which humans can cope with much better in small amounts than our tiny parrots. That’s why the best avian vets will advise against feeding any nuts in shell, to completely avoid this risk! Just to let you know Peanuts are grown in the ground and so are not really nuts at all. You also get soil on the shells that can cause problems for your birds. I personally never give either foor containg peanut or the “Nut” to any of my birds. Can I give almonds to my parrot? Green with red and black neck rings. I gave my cockatoo Kaytee seed diet for large parrots and started to switch to pellets,it’s fortified with vitamin, and I hope calcium, is that okay for my new cockatoo, ri gneck can have tiel a d pellets?! Good quality pellets are fine for any parrot species Karen! Great article! Can you please advise the dangers associated with feeding “roasted” nuts. Thank you! Good point Ann-Louise, I will update this article shortly with more research about roasted nuts concerning our parrots. Can i give my yellow head Amazon some walnut bread, i ask cause the oil that is put in it?? Hi Shawnta, are you purchasing this walnut bread as a product made for birds? Or is it a human product, or something you’re making yourself? I really enjoyed this article, however I am hoping it’ss not too late to get an answer on , how often should parrots be given nuts, example oncef a week, once a month ? and is it only one small one or a couple of different types of nuts? Hi Fiona, glad you like the article! There are so many variables to consider: but nuts are considered to be treat items for most parrots because they are mostly high in fat. More active parrots (flying in an aviary for example) can obviously handle a little more than those who live more sedentary lives. For best advice for your specific bird, your vet is the one to ask,particularly as he/she can get a weight for your bird and then determine a good balance between letting your parrot enjoy nuts without over-doing it.